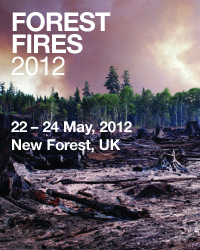 The Third International Conference on Modelling, Monitoring and Management of Forest Fires will take place from 22 to 24 May 2012 in New Forest, UK. Forest fires are very complex phenomena. Different approaches are required for controlling fires in rural areas, and strongly depend on the physical characteristics of the surrounding region. Other factors, such as weather conditions, regional activities, forest type, as well as social and economic considerations, lend to a very changeable situation. Forest fire analysis and mitigation require the development of computer codes that can take into consideration these large numbers of different parameters. The conference will discuss the latest research and applications of available tools to analyse and predict the spread of forest fires in an attempt to prevent or reduce major loss of life and property as well as damage to the environment. It will also cover a wide range of aspects of forest fires, from fire propagation in different scenarios to the optimum strategies for firefighting.